As we get closer to the October 18th Liberal Nomination meeting, I invite you to review the videos so you know what I stand for in CKL. October 18th, 1pm at Tilbury arena is the CKL nomination meeting. I invite you to come out and support me in being the change that is needed in Ottawa. Latest polls suggest change is on the horizon! People are ready for change. Change is Coming. If you visit www.mattdaudlin.com, you can read my biography in 9 different languages. English, French, Spanish, Arabic, Dutch, Low German, Portuguese, Italian and Lunaapeew (Language of Delaware First Nations). Go and check it out! Please share if you agree on saving the CBC and the protecting the Arts and Culture in CKL. “I’m confident that Matt will work hard for Chatham-Kent-Leamington. His efforts over the last ten years demonstrate his determination and ability to deliver.” ~ Chandra Clarke, President, Scribendi Inc. 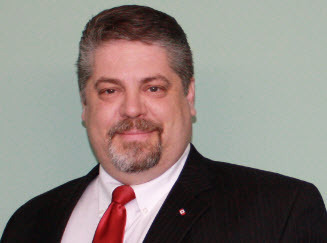 I am seeking your support to become the Federal Liberal candidate for Chatham-Kent-Leamington in the 2015 election. I need people like you who believe in the values of the Liberal Party and believe that change is needed in our riding. I am asking you to consider becoming a member of the Federal Liberal Party and to come out and vote for me at the nomination meeting (date TBD). To become a member please call me at 519-365-3470 or email me at makeitmatt2015@gmail.com and I will hand deliver a membership form to you and we can discuss your concerns for the riding. If you are unfamiliar with what I believe matters to CKL, please visit my website mattdaudlin.com and together we can "Make It Matt" in 2015 and bring prosperity back to CKL. The conservative gov't has run consecutive governments for seven years! It has led to $170 billion in debt erasing past Liberal progress of paying debt down. The time for change is 2015. We were #1 only 8 short years ago. Now we rank 11th. Time for a leadership change? Here is another installment of What Matters to CKL. On location talking about Agriculture and its importance to Chatham-Kent-Leamington. Please watch and share! The third installment of What Matters to CKL. Here is the second installment of what matters in CKL. Please share. I believe in Justin Trudeau. Regardless of his celebrity. Be sure to check out my new webpage www.mattdaudlin.com as I am again seeking the Liberal nomination for Chatham-Kent-Leamington. I would love to hear from you! Will be out for Canada Day at Tecumseh Park from 11-3 Come out and see me at the Liberal tent as I am always looking for a chance to hear what matters most to you. Happy Canada Day! Thank you everyone... I am very proud of the TEAM ! thank you but we are not done yet !